The International Trade Centre (ITC) is ready to assist the Democratic Republic of Congo and the country’s small and medium-enterprises, and will work with the Government to identify future joint projects. That was the conclusion of a meeting between Arancha González, ITC’s Executive Director, and Jean Paul Nemoyato Bagebole, Minister of Commerce for the Democratic Republic of Congo (DRC), held at ITC headquarters on 8 October. During the meeting the two sides discussed past projects, as well as possibilities of future technical assistance. 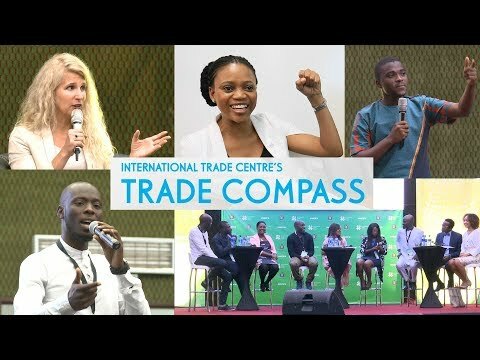 ITC's most recent project in DRC was a contribution to the trade-integration diagnostic study as part of the country’s efforts to access funding support from the Enhanced Integrated Framework. Acknowledging that his country has suffered from a degradation of infrastructure as a result of internal conflict, Mr Bagebole stressed that DRC is ready to make a greater effort towards ensuring that as a post-conflict country more people and Congolese SMEs are enabled to participate in regional and global trade. He highlighted the agriculture remains a key sector and products such as cassava still provide scope for inclusive economic empowerment for many locals. The dairy sector is also one focus area, and Mr Bagebole said that he wants to do more to ensure that there is a continuous dialogue between the country’s public and private sectors on how best DRC could improve its trade within the region. He alluded to the DRC’s challenge of lack of electrify to power the industry and he hoped the international community would help him address these challenges. Following the meeting, ITC and DRC will explore the possibility of projects in the diary and manioc (cassava) sectors, either bilaterally or through the EIF. ITC will also investigate how the organization can help support the public-private sector dialogue.